James Dyson, the UK inventor and a prominent Brexit supporter, is moving his business headquarters to Singapore as the maker of vacuum cleaners pivots towards the expanding Asian market for high-end consumer goods. The billionaire’s privately owned company said the decision had nothing to do with Britain’s impending departure from the EU and that any reduction in its tax bill as a result of the move would be “negligible”. Dyson already manufactures all its products in Asia, where the group generates more than half its profits, and is building a factory in Singapore that will produce its planned electric vehicle. Jim Rowan, chief executive officer, said the relocation was designed to make sure the company was “future-proofed” and would allow management to keep an eye on its investments in the region. “What we’ve seen in the last few years is an acceleration of opportunities to grow from a revenue perspective in Asia,” he said in a call with journalists. Markets where Dyson is enjoying strong growth include China, South Korea and India. As part of the move, only two employees – the company’s chief financial officer and its chief legal officer – will move to the city state. Dyson would continue to invest in the UK and increase headcount at its two research and development facilities in Wiltshire, said Mr Rowan. However, the decision is likely to generate controversy given Sir James’ status as one of Britain’s most celebrated entrepreneurs and his vocal backing of Brexit. Dyson ceased manufacturing in the UK in 2003. Singapore’s headline rate of corporate tax is 17 per cent, compared to 19 per cent in the UK. Mr Rowan declined to offer more details on the company’s tax affairs, but said the difference would be “negligible”. 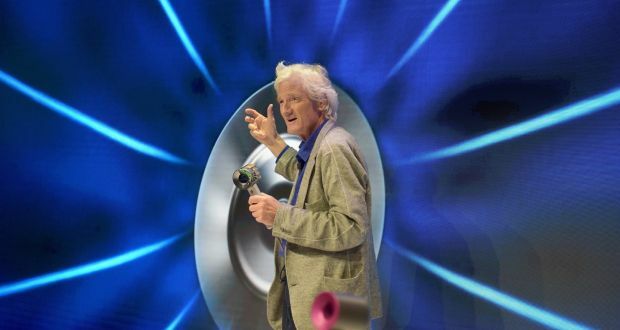 The news came as Dyson revealed that its core profits had broken the £1 billion mark for the first time in 2018, with earnings before interest, tax, depreciation and amortisation at £1.1 billion – a one-third increase on the year before. Revenue increased 28 per cent to £4.4 billion.